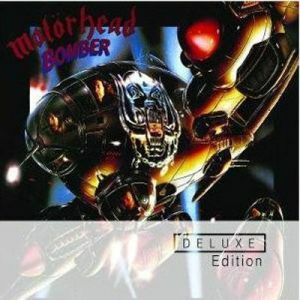 MOTORHEAD - BOMBER DELUXE EDIT. (2CD DIGI) | Online Shop | Wizard LTD. Album: "BOMBER DELUXE EDIT. (2CD DIGI)"
To commemorate Motorhead&apos;s 30th anniversary show, which took place June 16, 2005, at the Hammersmith Apollo in London, U.K., Sanctuary consulted with Lemmy to release the legendary 1979 Bomber album in all its glory... plus a few extra tracks! The two-CD Bomber: Deluxe Edition stands as a landmark within the speed-metal pantheon. The album is held in high esteem by Motorhead fans and reached number 12 in the charts on its release, while the title track also landed them a Top 40 hit. This remastered edition of the album includes a second disc of live versions and rare tracks, encapsulating for the first time Motorhead&apos;s recordings from this period.